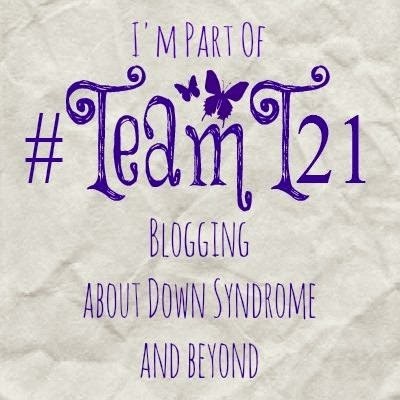 Another week has flown by and it's time to link up your posts old and/or new for our weekly #TeamT21 blog celebration below. Alice Hassell has created an incredible badge for the team (left). She's working on adding some code so we can all add it to our blogs if we wish. Paul Critchlow who writes Orange Juice Flavour Sky gave us a wise post about time flying by and savouring the moments to be celebrated in life in Who Knows Where the Time Goes, Mardra at MardraSikora.com reminds us that our children really are The Very Least of our Worries in life, and Sunshine and the Berry gives a beautiful and inspirational account of breastfeeding despite the odds in Milo's Feeding Journey.